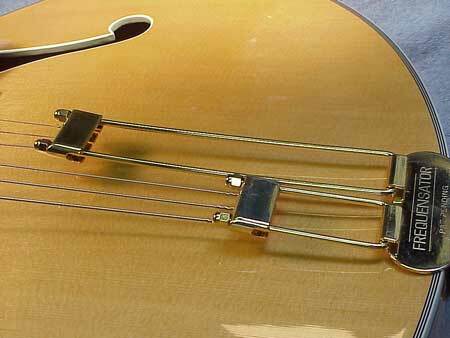 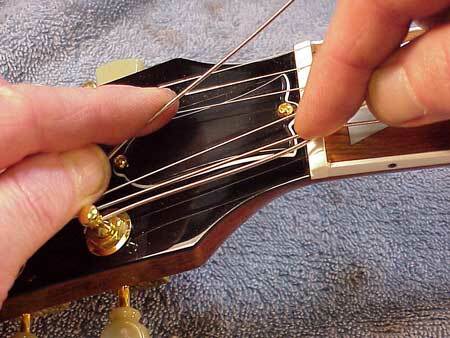 The archtop guitar is a pretty straightforward beast when it comes to string installation. 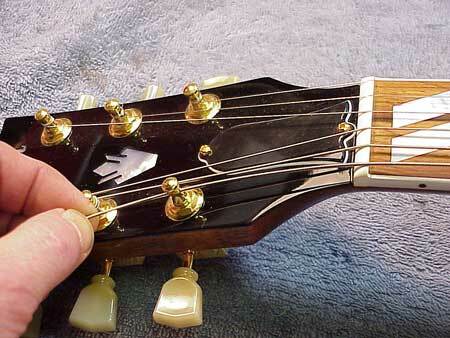 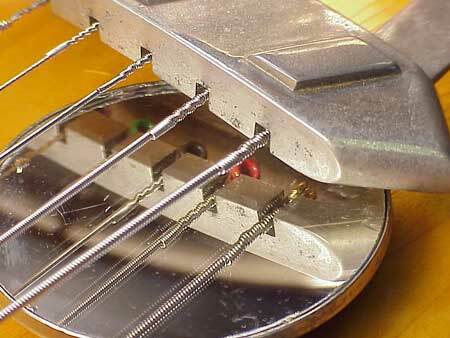 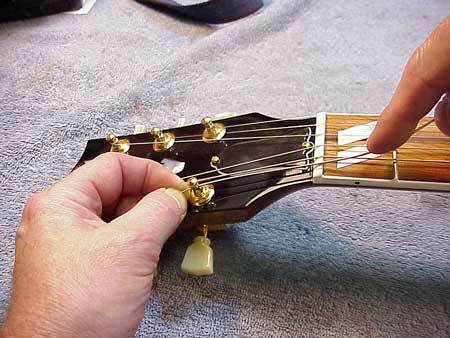 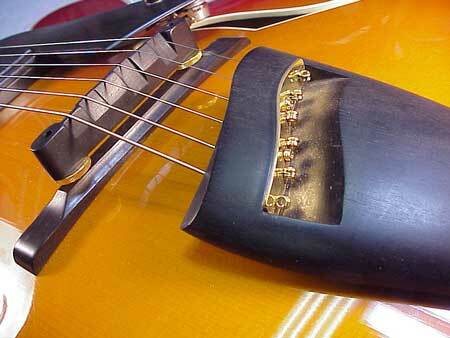 All archtops have tailpieces, to which strings are usually easily and efficiently attached. 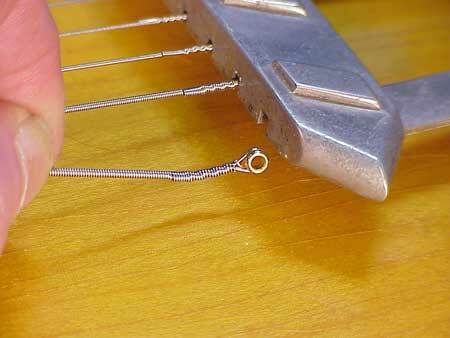 Here, the strings simply thread through from the back side. 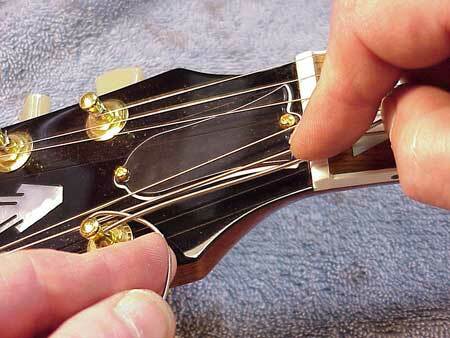 I'm holding the string tight, about 1-1/4" past the the tuning post.